The Tallow and District Active Retirement Group provides a social and recreational outlet for all retired men and women over fifty-five years of age in Tallow and surrounding areas. 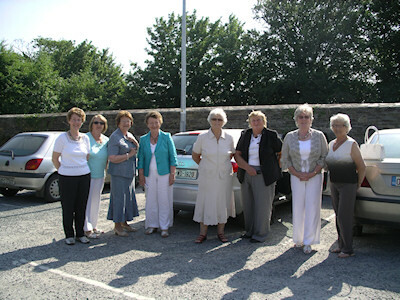 There are a large number of Active Retirement Groups in County Waterford and this number is continuing to grow at a rapid pace. Active Retirement Ireland is the largest national network of local and community based voluntary groups involving older people in Ireland. Active Retirement Ireland believes that getting older is not a barrier to continuing to enjoy life, maintaining dignity and independence, making new friendships, acquiring new skills, sharing experiences and contributing to the community. Joining your local active retirement association is one of the best ways of achieving these aims. Click on our blog for a list of the fun social outings planned as well as numerous educational, recreational classes and talks. In an effort to improve our facilities for less able people we applied for and were successful in receiving funding for two new chairlifts. These have now been installed and give everybody access to our computer training facilities and leisure time classes/courses. The Meetings are held every second and fourth Wednesday of the month at Tallow Enterprise Centre from 2.30 pm. Each meeting starts with mild exercise and, depending on the agenda continues with; fun, games, talks and short workshops etc. Click on our blog for a list of events and meetings or please contact us for more information.